It’s been nearly a decade since Vince Vaughn and Owen Wilson first teamed up for the R-rated comedy “Wedding Crashers,” and moviegoers have been clamoring for the pair to do another film together ever since. The reunion may have taken a little longer than expected, but it’s nice to see that they didn’t go the easy route with a “Wedding Crashers” sequel, even if their new movie falls well short of recapturing that same spark. “The Internship” isn’t nearly as bad as its trailers led me to believe, but while Vaughn and Wilson don’t waste any time in renewing their great onscreen chemistry, it’s still not very funny. Billy McMahon (Vaughn) and Nick Campbell (Wilson) have built successful careers as salesmen, but when their company closes due to the economic crunch, they suddenly find themselves without a job and no real marketable skills to speak of. Analog dinosaurs living in a digital world, their futures look bleak – that is, until Billy gets the idea to apply for a summer internship program at Google. Though they clearly lack the general computer knowledge of most candidates, the company decides to take a chance on the two guys anyway. Placed into a group of fellow outcasts with poor social skills, Billy and Nick are quickly discounted as a couple of inept goofballs that are more trouble than they’re worth. But what they lack in technological savvy, they make up for in life experience, and that proves just as valuable when they compete in a series of team challenges for the chance to earn a job at the tech giant. Though the summer movie season is typically reserved for the kind of big blockbuster action films that dominated theaters last month, June offers a more eclectic assortment of movies, including star-studded comedies, small indies, and yes, another helping of big blockbuster action films. From the return of Superman to the end of the world (twice), there are plenty of good reasons to get out of the sweltering heat and be entertained this June. 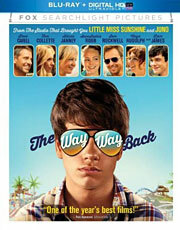 What: Two salesmen whose careers have been ruined by the digital age get internships at Google, where they must compete against young, tech-savvy geniuses. Why: It’s been almost a decade since Vince Vaughn and Owen Wilson teamed up for “Wedding Crashers” – which, along with “The 40-Year-Old Virgin,” helped revive the R-rated comedy – so there’s a certain degree of excitement about seeing them together on screen again. 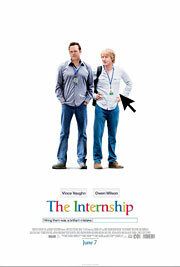 Of course, “Wedding Crashers” was actually funny, whereas “The Internship” doesn’t look quite as promising. The studio clearly believes that just by reuniting the two actors, the laughs will automatically flow, but that doesn’t seem to be the case here. 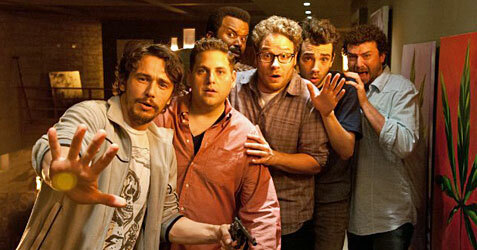 Director Shawn Levy’s previous comedies have been pretty tame in comparison to the duo’s last film, and many of the jokes in the trailer feel about five years past their sell-by date, Still, the Vaughn/Wilson reunion is simply too enticing to pass up, so I wouldn’t count out “The Internship” just yet. What: A modern retelling of Shakespeare’s classic comedy about two pairs of lovers with different takes on romance and a way with words. Why: Most directors would take a much deserved vacation after wrapping on a movie as massive as “The Avengers,” but not Joss Whedon, who used his short break between filming and post-production on the Marvel blockbuster to shoot a modern day version of “Much Ado About Nothing” with some friends at his house. The movie is packed with familiar faces from the director’s so-called Whedonverse, with every one of his former TV shows represented in some capacity. Shot entirely in black and white, the film looks about as close to a low budget indie as you’re bound to find, but Whedon and Shakespeare are such a great fit (both celebrated for their sharp and witty dialogue) that it’s a wonder the latter didn’t attempt an adaptation of the Bard’s classic any sooner.